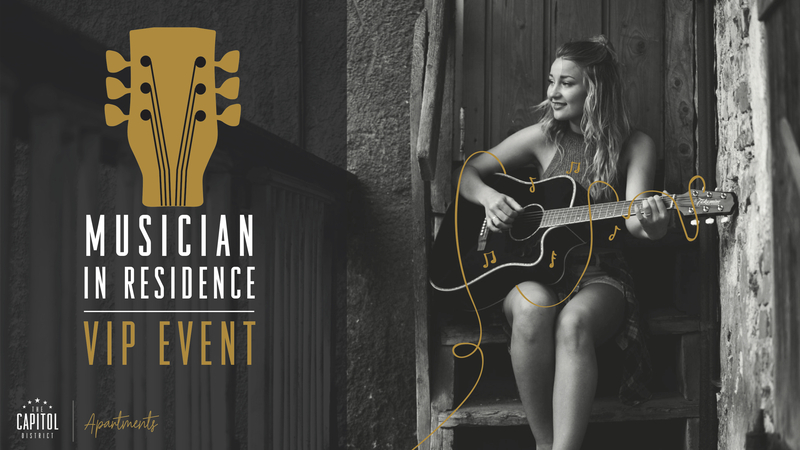 The Capitol District recently invited area musicians to participate in our first Musician in Residence program. Local musicians submitted applications and audition videos to compete for 12 months of rent in an unfurnished apartment at The Capitol District Apartments in exchange for live performance time. You and a guest are invited to join us for our live VIP finalist event! Each finalist will perform a couple of songs and the winner will be selected by our expert panel of judges — and your votes! 7 : 3 0 P . M . Winner Announced!